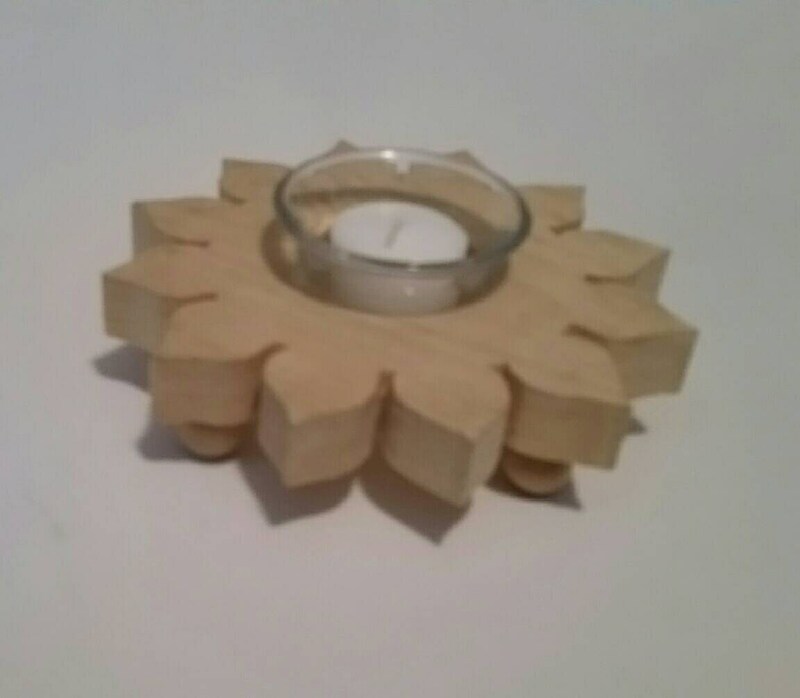 The Natural Wood Sunflower Votive Candle Holder with Glass Cup is designed for those that love sunflower decor, or a sunflower centerpiece. A beautiful and natural sunflower candle holder that could be used on a shelf, mantle, or as a center piece on a dining table, reception table, restaurant table, or just on the kitchen table. The center glass cup adds style to the holder but also adds protection when on a table and allows for easy cleaning and replacement of the candle. The wood is is left its natural color and coated with several coats of a gloss acrylic finish for long life of the candle holder. The 4 round ball feet were left a natural color to provide contrast, then they too were given several coats of the acrylic finish. Perfect item for a baptism gift where you want to provide something practical for the day, as well as with some sentimental value. My sister in law teared up when she opened it on behalf of her child, who was being baptized. Philip was easy to work with and very accommodating and processing the order quickly and getting it in the mail in time for the celebration. I would definitely purchase this item again for a similar occasion.